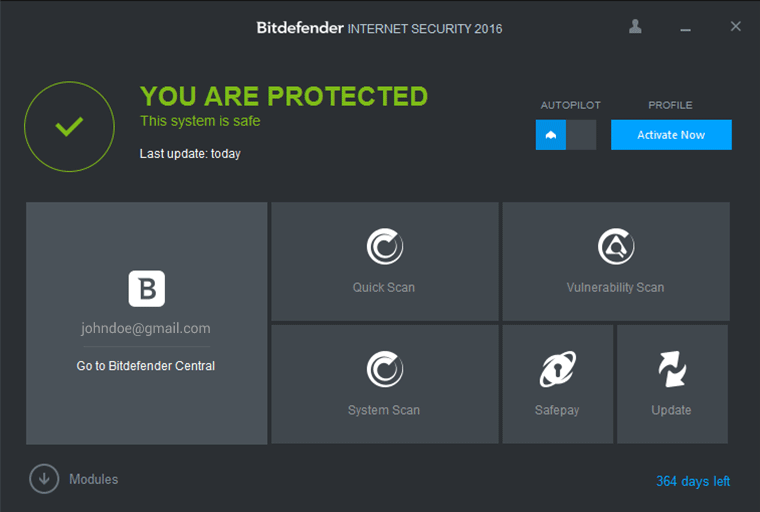 Bitdefender Internet Security Free Download 2016 Edition latest version 20.0.29.1517 for Windows 32/64 bit. Get Bitdefender Internet Security offline setup, standalone installer. Best security suite that seeks to enhance the security and the performance of your computer. The user interface and the antivirus engine is almost identical to Kaspersky Antivirus 2016. The main window shows buttons and links to configure the modules, to start scans, to enable or disable the Autopilot and to activate different profiles. It also features the Photon technology which improves the scanning times and the effect of that on your computer’s overall performance. This version of Bitdefender has two major components that the Bitdefender Antivirus Plus does not have them, Antispam and next generation Firewall. The first one is adressing the annoying problem of spam. Every day you receive useless emails in your inbox. You can use this protection only if your email client receives email messages through the POP3 protocol. All messages detected as spam are labeled with the [spam] prefix. The duty of the Firewall is to provide protection against unauthorized connection from the Internet and local network. You can configure the firewall’s rules to accept or deny connections over different protocols. Bitdefender also creates rules for every application that tries to connect to the Internet. Another interesting feature is the Security Report. This report is created weekly and offers advices on how to improve your system’s protection. You are able to see the scan reports which contain information about scanned files, webpages, vulnerabilities and the rest of the events. Bitdefender also helps to delete files permanently by using the Bitdefender File Shredder. Another cool thing about this security suite is the Battery Mode. If the Bitdefender is installed on a laptop or a tablet, some settings are changed to reduce the power consumption. The automatic updates, schedules scans are delayed and the security widget is turned off. A similar security suite is Kaspersky Internet Security 2016. Weekly security reports: usefull information about the Bitdefender’s activity. Online payment protection: make online payments through an unique secure web browser. Online Privacy Protection: surf the Web safely by knowing if a website is secure or not before accessing it. New Firewall: improved detection of incoming threats and blocking them. Anti-Spam: stop the receiving and sending of emails containing spam content. Sensitive data vault: Bitdefender saves passwords, credit card data and other important information in a highly secured virtual vault. 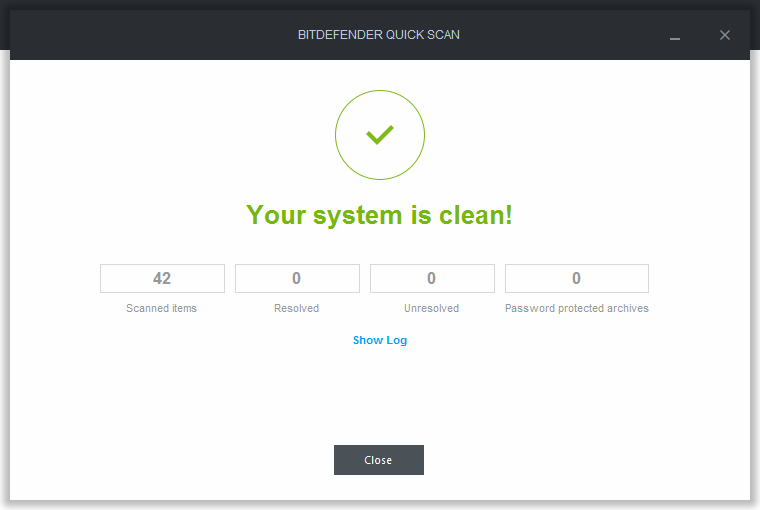 Security Widget: easy and fast way to control your Bitdefender straight from the normal desktop. 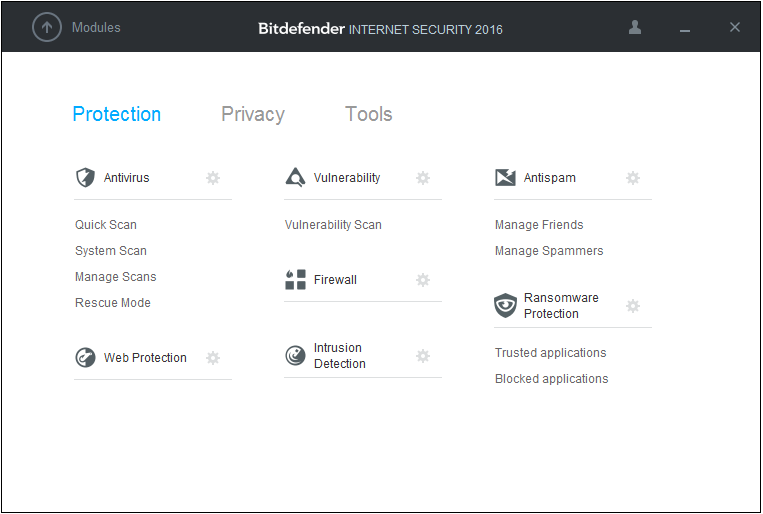 Click the link below to start the Bitdefender Internet Security Free Download 2016 latest version. If you have any problems while downloading please leave a comment below. After the page opens remember to choose the “Download through your browser” option to start downloading Bitdefender Internet Security 2016 Edition Offline Installer, Standalone Setup.